Pioneers in the industry, we offer energy calibration management software, lab calibration management software, electro technical calibration management software, plant calibration management software and web calibration management software from India. Leveraging on our years of experience, we hold expertise in offering Energy Calibration Software to our prestigious clients. 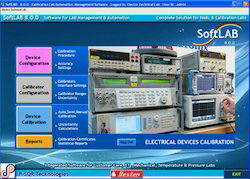 The offered software can be adopted for various types of instruments like electronic, electrical, temperature, pressure and optical measurement devices. Furthermore, this software is developed in line with industry norms using advanced tools and technology. Our clients highly praised our software for flexibility and can avail this at nominal prices. 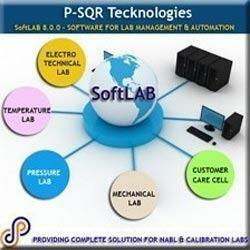 We offer our clients with a well-managed and superior quality Lab Calibration Management Software Development. The offered software has in-built intelligent uncertainty calculation methods and error calculation methods which completely eliminates man hours and human mistakes in fraction of seconds. Our provided software is highly praised by our clients for its various quality attributes. Besides, clients can avail this software from us at market leading prices. Service Request Entry to Delivery of calibration devices. Complete track about calibration device. 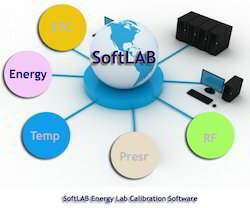 SoftLAB - ETL is designed to do calibration easier, faster, accurate and automatically generate calibration report hence to eliminate man hours, complex calculations and report writing. Software supports all type of communication interface standards such as RS232 / RS485 / IEEE and provides facility to add new standard/DUC instrument library. SoftLAB can be adopted for various types of instruments like electronic, electrical, temperature, pressure and optical measurement devices. Hence provides accurate, consistent and faster calibration process which in turn greatly reduces man hours and produces more calibration throughputs. Our organization is engaged in providing Plant Calibration Management Software to our valuable clients. The offered software provides facility to add new standard/DUC instrument library. in adherence with the industry standards. Our designers offer this software as per their demands at nominal prices. Furthermore, this software is highly parsed by our clients due to its platform independence and easy installation. With an aim to meet the expectations of our prestigious patrons, we are engaged in offering reliable Web Calibration Management Software. The offered software provides easier, faster, calibration and generates calibration report which can be viewed over internet. The provided software is acknowledged in the market for their features client centric approach and reliability. Besides, customers can avail this software from us at nominal prices. Supports Electro-Technical, Mechanical, Pressure, Thermal Labs integration with customer care.